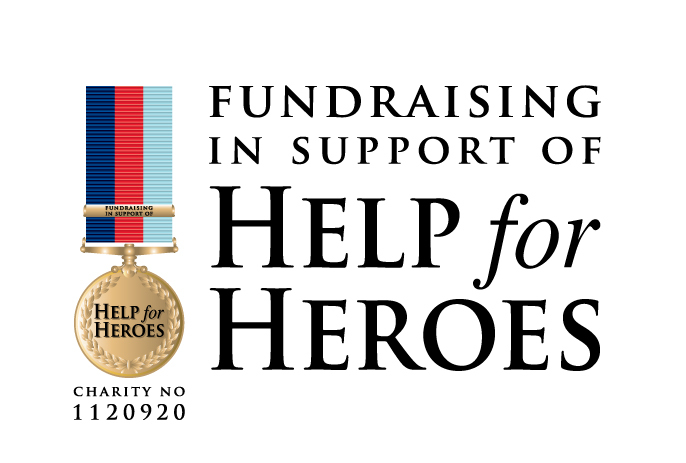 Help for Heroes is a charity formed to support those who have been wounded in Britain’s current conflicts. Striving towards 100% effectiveness, Help for Heroes try to ensure that every 1p in every £1 goes directly towards helping injured or wounded servicemen and women, providing practical and vital support. Help for Heroes isn’t political or critical. It’s about getting on with the job of helping people in need. In a world still deep in conflict, Help For Heroes is a crucial pillar of support for injured and wounded soldiers returning from war, and their families. They set up in 2007 in response to the conflicts in Iraq and Afghanistan, and in the decade since then have worked hard with partners to bring soldiers and their families direct, practical help to repair lives shattered by war injuries and illnesses. Help For Heroes rehabilitates and supports injured servicemen and women who had previously struggled to adapt to life beyond the warzone due to debilitating injuries and the knock-on effect of the conflicts they have seen. This charity is one of the UK’s fastest-growing charities, and since their formation in 2007, they anticipate helping over 60,000 more servicemen and women that need their advice, support and defence in the year to follow. This established organisation supports associated groups and charities such as Combat Stress and Blind Veterans UK who offer specific support to veterans – and the conflicts in Iraq and Afghanistan reported in the media have inspired thousands to rally behind their troops by donating to or supporting Help For Heroes. Show your support for these heroes by donating via their official website. Alternatively you can vote in our monthly poll as we donate 20% of voucher codes’ profits. Our voucher codes help us at My Favourite Voucher Codes do more than just save online consumers money.